The warm weather in July appears to have taken some of the purchasers out of the Saskatoon market with a monthly decline in unit home sales of 16% compared to July of 2016. The year to date unit sales are down nearly 4% for Saskatoon compared to the first seven months of last year. Sales in the region surrounding Saskatoon increased just over 17% for the month compared to last July, while the year to date numbers declined slightly by 2.6%. Year to date there have been a total of 2,155 unit sales within Saskatoon and another 596 in the region surrounding the city. The total dollar volume recorded for Saskatoon and region year to date is $989 Million off 5% from last year. The number of active listings in Saskatoon has reached a new peak at 2,210 with an additional 1,125 properties available in the market outside Saskatoon. At the current rate of monthly sales it would take just over seven months to liquidate the current inventory completely. The average home is taking approximately 50 days to sell which is consistent with the past two July’s. 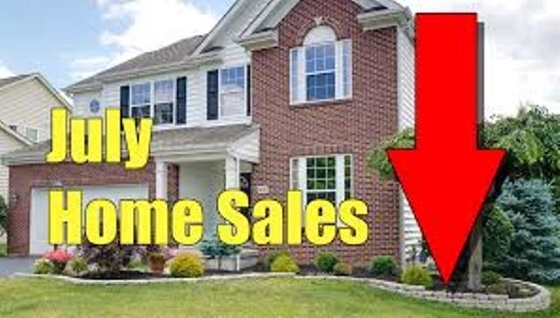 The homes that are selling are seeing a sale price that is at 96.7% of the asking price. “These stats would indicate to me that those who are serious about selling are pricing to market and getting very close to their asking price and in much less time than the current 50 day average.” According to Jason Yochim CEO with the Saskatoon Region Association of REALTORS®. The number of listings taken year to date in the Saskatoon and region market is consistent with last year at 8,693. In Saskatoon there have been 5,795 properties listed since January 1st, very similar to numbers for the past two years. Looking for sound market advice? As REALTOR® and Nationally Accredited Buyer Representative - ABR®, Seller Representative Specialist - SRS® and Real Estate Negotiation Expert - RENE, I can provide you with this advice. Call today.